A custom website can cost upwards of $10,000 per year which is why 92% of small businesses don’t have a website yet. 22% of small businesses also state that a lack of technical skills curbs them from having a website. And while having a website may be the upgrade most small businesses need, there are a whole host of ways in which a small business can promote their business without having a website. For SMBs looking for an app-less solution to run proximity marketing campaigns, NFC and QR codes is the way to go. NFC tags and QR codes are cost-effective and do not require an additional app to be downloaded in the latest Android and iOS smartphones. Using NFC and QR codes, SMBs can create interactive experiences, design treasure hunts, offer product information – availability and features, improve the post-purchase experience, employ a loyalty program and redirect customers to social media pages. 31% of small businesses prefer having a social media business profile over having a website. The reason is crystal clear. The reach that social media cannot be replicated and it is exceeding simple to set up a business profile on social media. 50 million small businesses use Facebook pages to connect with their customers. Facebook has 2.2 billion monthly users. It is also simple to advertise on Facebook explaining why 4 billion small businesses pay for social media advertisements on Facebook. 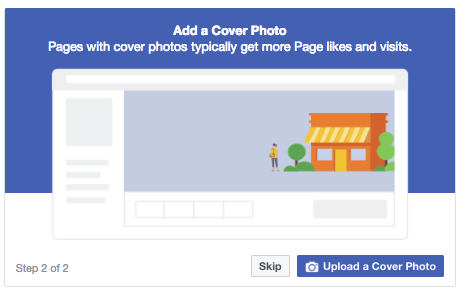 Facebook ads can help small businesses get noticed quicker and edge out the competition. Instagram is an even bigger weapon in the marketing arsenal of small businesses. Out of all the content on Instagram, products are at the top. This implies that Instagram users are aware and accept that they will see offers, deals, and discounts. Another reason why small businesses get a lot of traction on Instagram is due to the location feature. Posts tagged with the location get 79% more engagement compared to those without. This can be effectively used to draw more local business. Having a YouTube channel can also greatly benefit small businesses given the 1.8 billion active users every month. 87% of marketers plan to leverage YouTube to run advertisements as well. The combination of having a channel as well running ad campaigns can boost in-store visits and engagement. 70% of small businesses use Twitter and 85% of users feel more connected to a small business after interacting with them on Twitter. Having a presence on Twitter is crucial for small businesses as Twitter reports that 63% of people follow a small business to show their support for them. 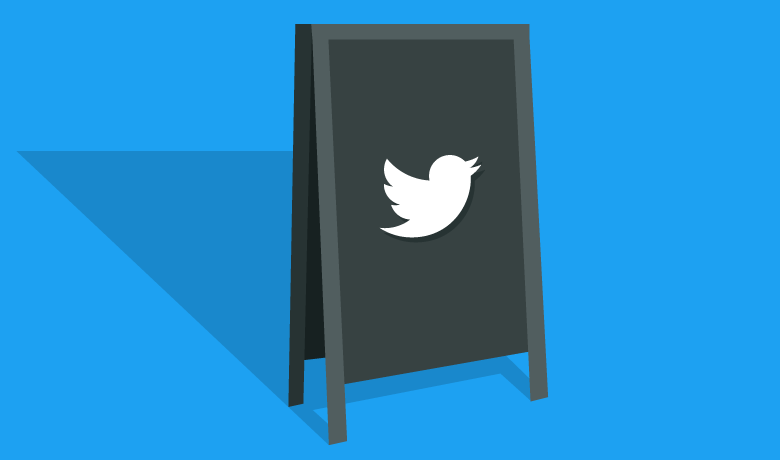 The more small businesses tweet, better the engagement. When the Near Me feature was released in 2010, it became infinitely easier for consumers to search for local small businesses. Google offers a lot of features that make it simpler for small businesses to reach a wider audience. This free tool allows you to list your business which is important because over 100 billion searches are performed on the search engine. Google Retail is another free tool by Google that allows small retailers to list their inventory on Google and start shopping AD campaigns. 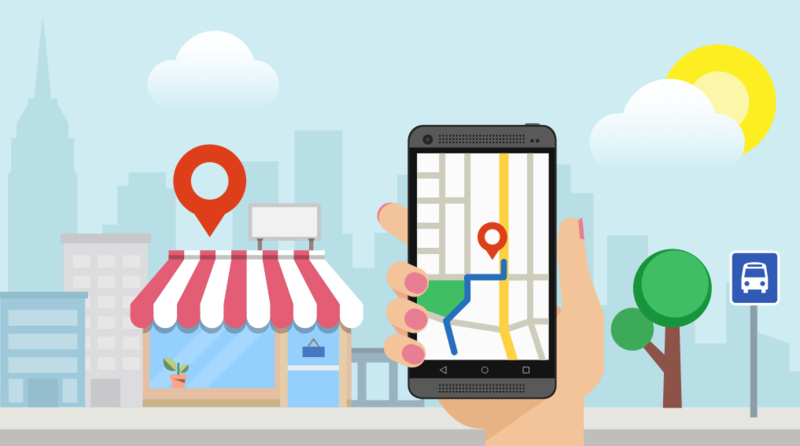 Google Maps provide directions and a provision for customers to call local businesses. This can help small businesses get new customers easily. 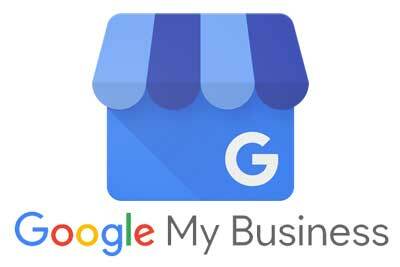 To get on Google Maps, small businesses need to register on Google My Business and fill out all the necessary information. 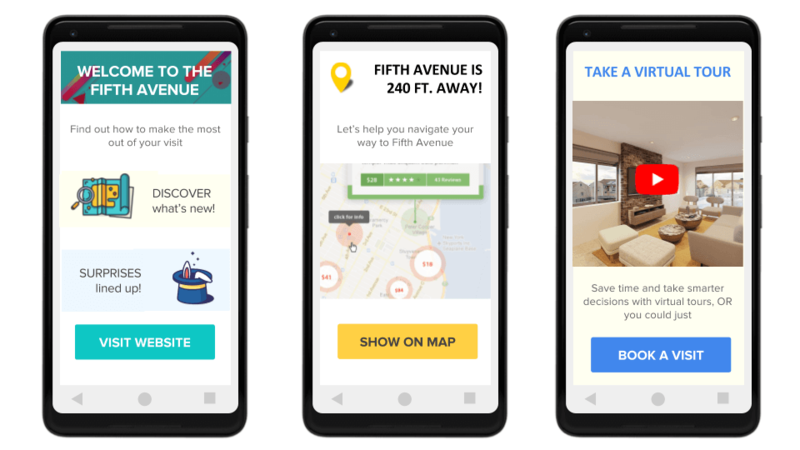 Since Google Nearby on Andriod that allowed smartphones to scan for Bluetooth beacons and display notifications without an app has shut down, try the best proximity marketing app out there – NearBee. These notifications can be used by small businesses to promote their store, give out coupons and deals and inform customers about new arrivals. Since these beacons have a specific range, only hyperlocal contextual information is sent out. Related: What is a Bluetooth beacon? Expos are the best place to meet resellers, customers and other small business owners. Since this gives small businesses a chance to showcase their products in a formal setting, it also lends them credibility. This is also a great chance for small businesses to connect with their customers. Promoting your small business with Bluetooth beacons can help you surge forward! All of the ways mentioned above can be boosted by incorporating a Bluetooth beacon. Since BLE beacons deliver only hyperlocal contextual information, shoppers at a small business are not constantly bombarded with irrelevant marketing messages. Leveraging beacons is also extremely cost-efficient and that is of huge importance to small businesses. Let’s get into the specifics of how to use beacons to promote small businesses. Beacon notifications can contain lucrative deals and promotions which will mean more to a consumer because it is relevant. While customers are in the store or nearby, they can be driven to the store. These notifications when opened lead shoppers to a URL which contains enticing text and images. It is also possible to use Bluetooth beacons to drive shoppers to social media pages. This helps small businesses build a good rapport with their customers and goes a long way in retaining loyal ones. There is a neat feature on Beaconstac, custom URL campaigns, that allows small businesses to do exactly that. 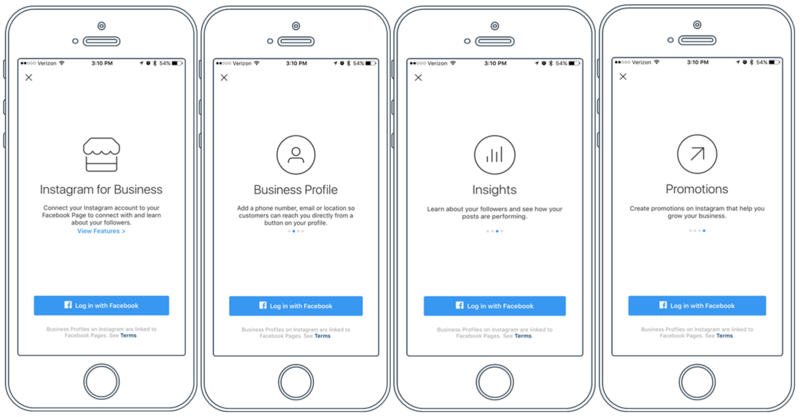 Once a customer clicks on the notification, they are taken to the respective app, say Facebook and can engage with the small business further. The first step to acquiring new customers is to let them know that a small business exists. Beacon notifications can also be used to attract shoppers nearby with suggestions to step in and browse through the store. This feature comes in handy at expos or meetups as well. There are several businesses vying for people’s attention at an expo and having a Bluetooth beacon can help small businesses get noticed that much faster. 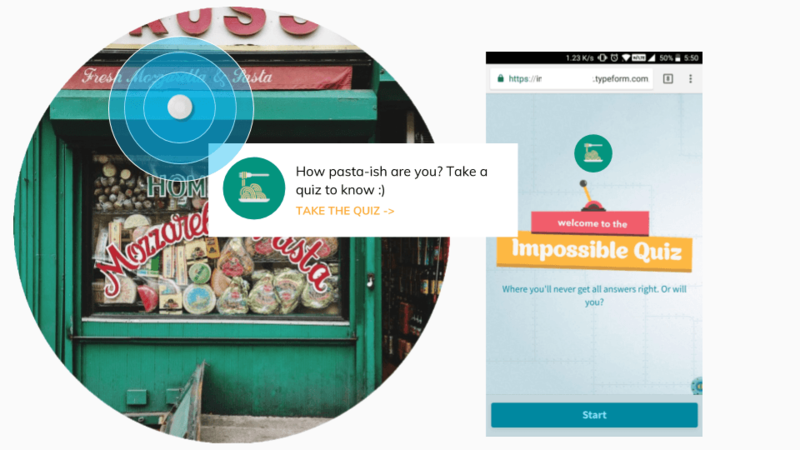 Beacons can also be used to gamify in-store visits. A digital treasure or scavenger hunt can be planned by placing beacons throughout the store’s neighborhood. Once a shopper locates one beacon, they can be offered a discount, freebies or a VIP experience. Long lines in stores lead to cart abandonment. By allowing customers to skip lines, small businesses can surpass their competitors. Shoppers only need to click on a notification that allows them to pay from anywhere in the store. It is also possible to send out interactive forms using BLE beacons to generate new leads. This can be done in numerous ways – by offering free courses, showing off new arrivals and event registration for local events organized by small businesses. Even if a small business does not have a website, they can still create a Google Analytics account to track their campaigns on Beaconstac. Since all the markdown cards lead customers to a URL, the URL is treated as a website. This allows small businesses to get deeper insights into their audience and a chance to fine-tune their campaigns. The same promotional messages can fatigue customers which is why using the Schedule feature on Beaconstac, small businesses can schedule campaigns for different times of the day, week or month. This time-saving feature allows campaigns to run automatically even when the business is closed. With Beaconstac’s platform, it is possible to send campaigns that get translated into the native language of the receiver. This is of tremendous importance when a small business operates in a multi-lingual area and wants to reach more customers. Small businesses have a lot of ways to get noticed even without a website and Bluetooth beacons are the most optimum way to do so. The market for proximity marketing will be worth 52.46 billion USD by 2022. There will be 500 million beacons deployed across the world. This is a great time for small businesses to leverage proximity marketing using beacons to get ahead of the curve. Get your free ebook on Proximity Marketing for small businesses. Start using Beaconstac, an end-to-end solution, that will help you promote your small business with ease. Get your beacons and Beaconstac’s intuitive dashboard to start sending hyperlocal marketing messages today. 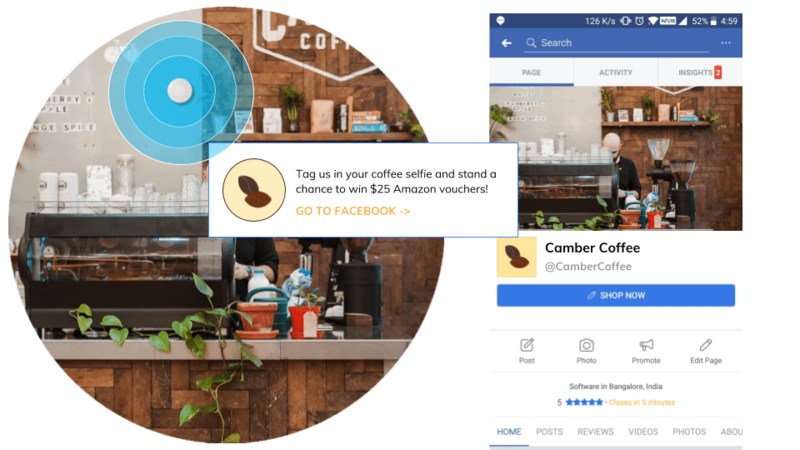 How can small businesses promote NearBee for proximity marketing?